Through the wonderful magic of photographs one has an almost unlimited supply of historical reflectiions of the ordinary persons life. These photographs are captured moments in time. Unfortunately, as time passes many of these photographs are lost and forgotten. My paintings are glimpses of these forgotten captured moments in time. Life is but a series of moments and those moments that are captured in the mind are called memories. We revisit thse memories throughtout our life by viewing remembered moments from the mind's eye or by viewing the captured moments of the camera's eye. My work is another method of visiting these moments. 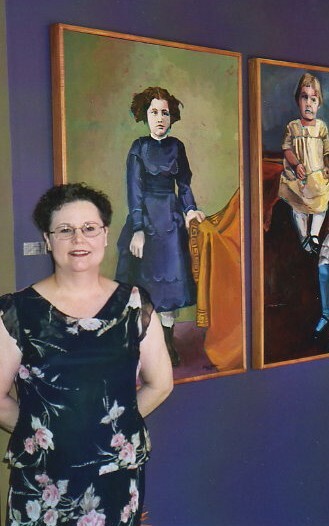 My paintings are a glimpse back in time of the captured moments of ordinary people. Featured on this site is a series of paintings based on one seaman's experiences during World War II while he was stationed off the coast of North Africa along the Mediterranean Sea. When Japan bombed Pearl Harbor he was in the 11th grade. Within a few days he had quite high school and enlistd in the Navy. He served 2 years as a medic in the Navy and 2 years in the Marines. That enlisted man is my father.